Our representative will pick you from arrival point and then take you to the Moivaro Coffee Lodge in Arusha. 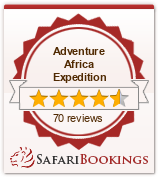 You will be briefed about your safari and will spend the afternoon at leisure. Dinner and overnight at Moivaro Coffee Lodge. Early morning game drive (with a picnic lunch) inside the Ngorongoro Crater. As very few animals migrate in and out of the crater with its 2000 ft. high walls, you can expect to see lions, elephants, zebras, hippos, flamingos, jackals, rhinos, antelopes, many birds and other species. Your Driver/Guide will be in contact with other safari drivers and will amaze you with his skill at locating the hidden animals. After breakfast you will be transferred to Kilimanjaro airport for your flight to Zanzibar. After arrival on Zanzibar we will do the Spice Tour on the way to the East Coast. You will learn about Spices and herbs Zanzibar is famous for. Overnight in the Matemwe Bungalows (or similar). Relax and enjoy Zanzibar's East Coast around Matemwe Bungalows. One day we'll head to Mnemba Island, fantastic for snorkeling. From the sailing boat often you can see dolphins. After breakfast you are ferried to the airport for your flight back home.